They say, all good things come to an end. 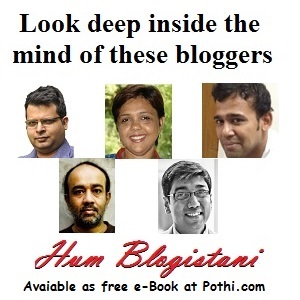 And the time has come for the Indibloggies to bid adieu. Yes dear readers, Indibloggies is pulling its shutters down. It amazes me that what started as a simple backyard fun clique in 2003 survived so long and hopefully brought some happiness in the Indiblogdom. Sadly, Indibloggies (and in fact my blogging and other online activities too) were not getting the required attention in my current scheme of things. Even the 2008 edition stretched way too far. Being the procrastinator that I am, took me a while to decide, but here now, its decided. Many still find it hard to believe that Indibloggies has been a one-man driven effort, but I think I wouldn't have been able to pull it off without help from umpteen fellow bloggers, who extended help in running various phases of this online event. I would cherish their help, interest and encouragement. I also should thank you, dear reader, who kept a tab on this event, year after year. Your messages helped me keep the site going. Thanks you all! Cheers!